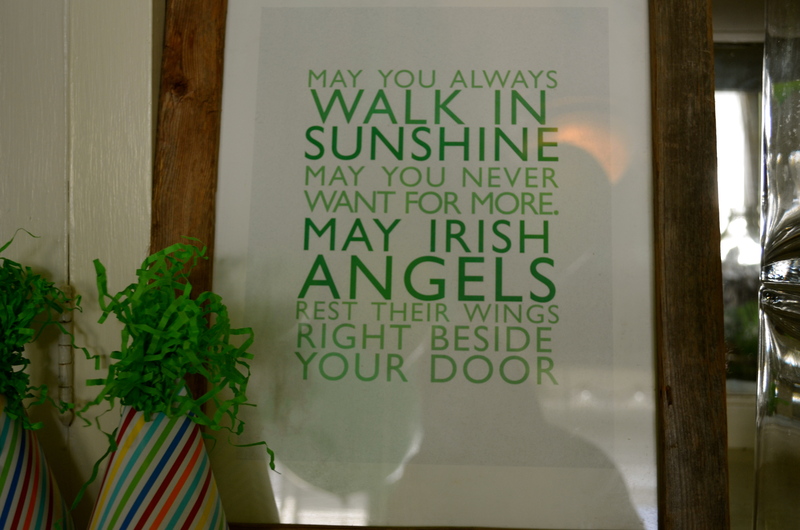 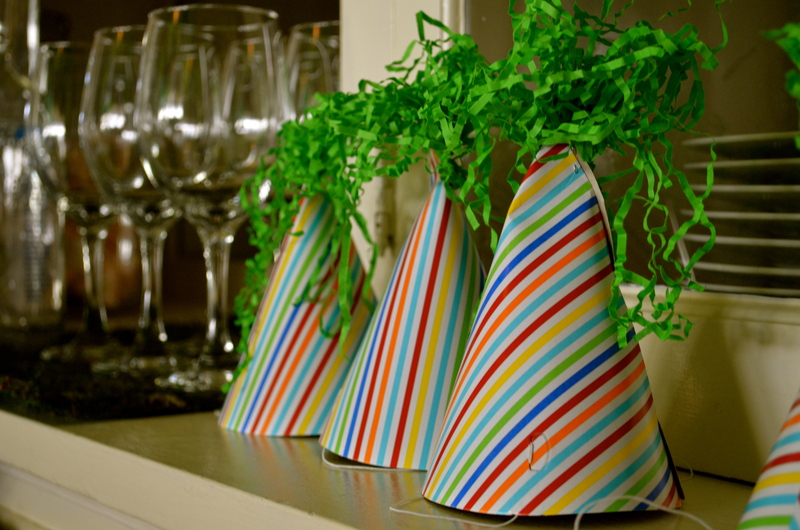 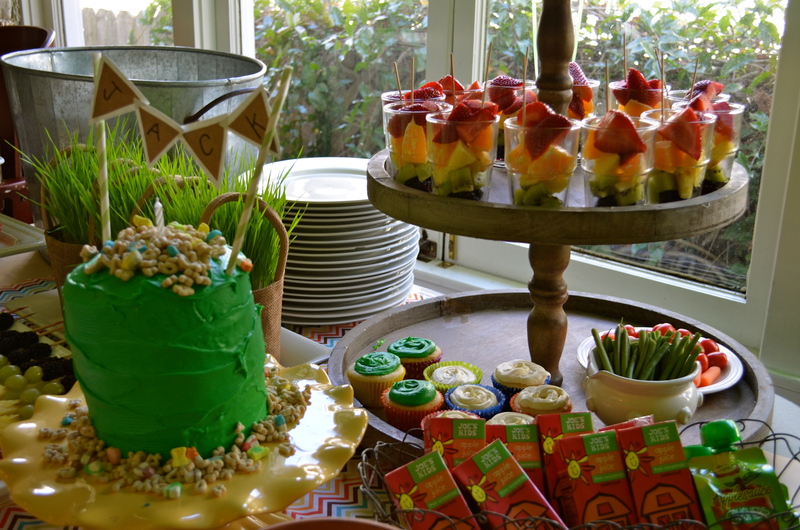 For this first birthday we wanted to incorporate St Patrick’s Day since the birthday was around that holiday. 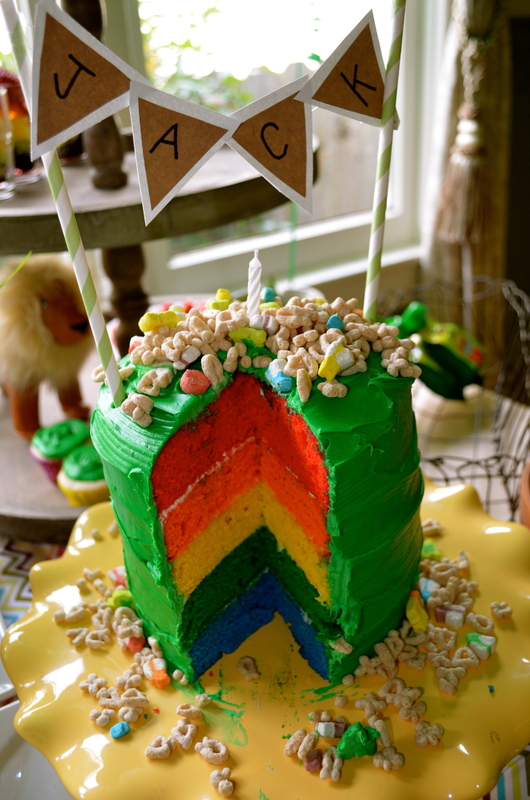 We took a child-like spin on it and stuck with two shades of green and rainbows. 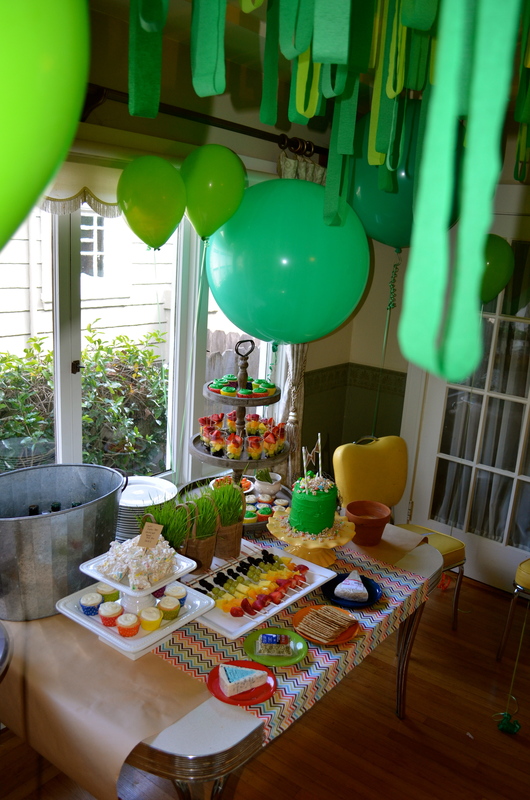 Decor was mainly balloons in lime and emerald green. 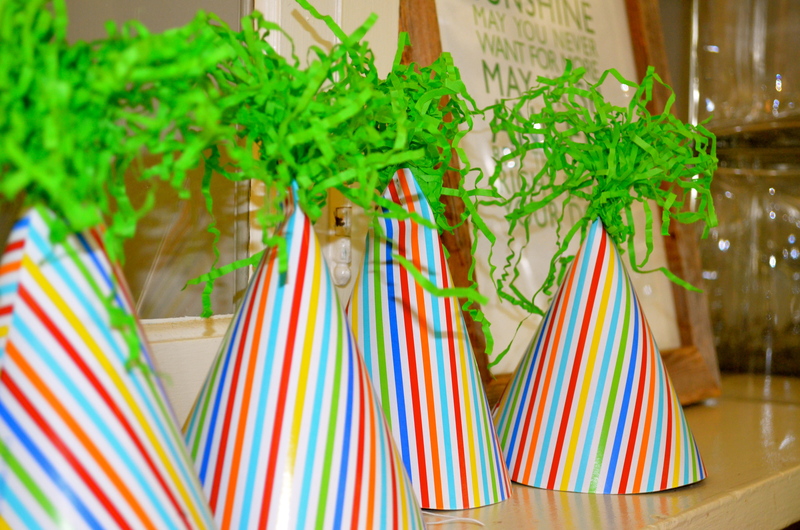 We used two sizes, standard and 36 inch balloons found here. 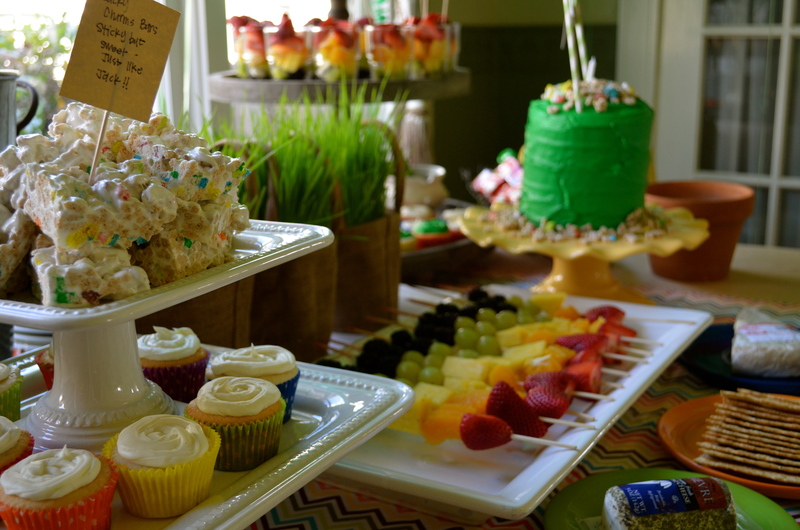 The table set up was a rustic rainbow. 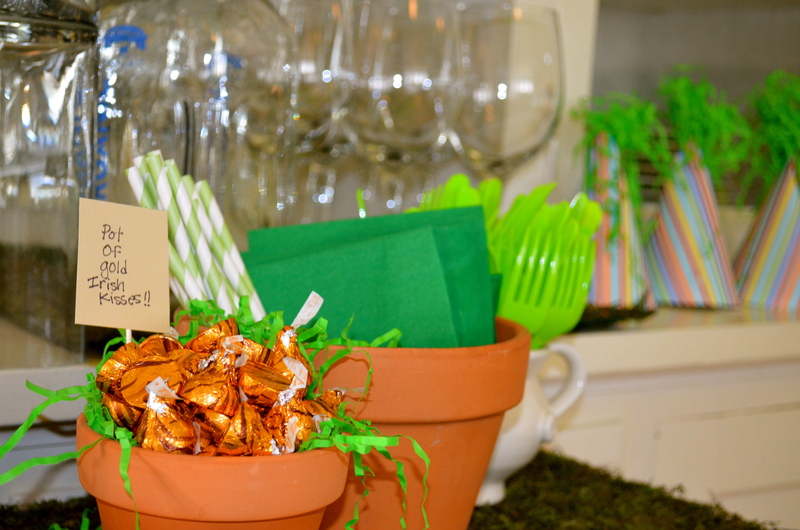 Bright, chevron fabric acted as a table cloth, steel drink bin held Irish beers for the adult guests, white cake stands and porcelain platters were used for food. 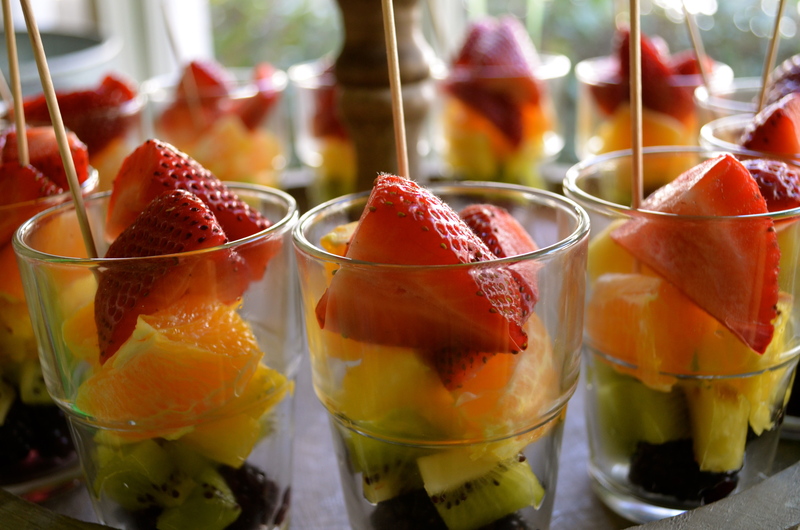 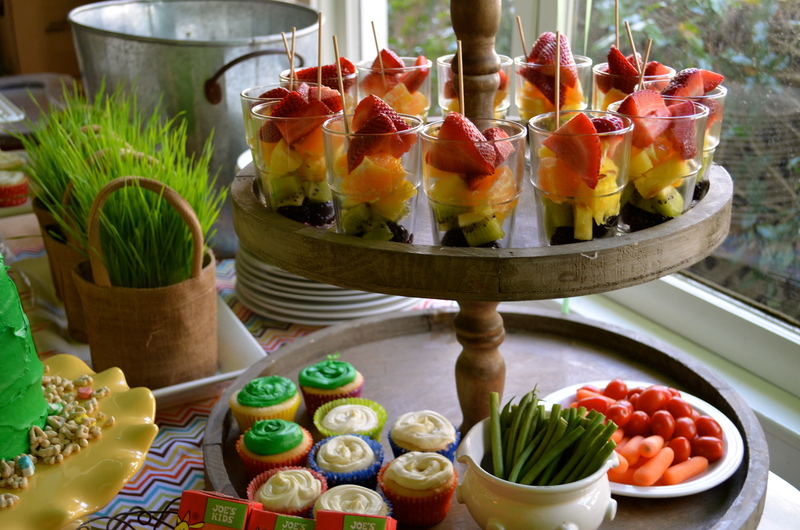 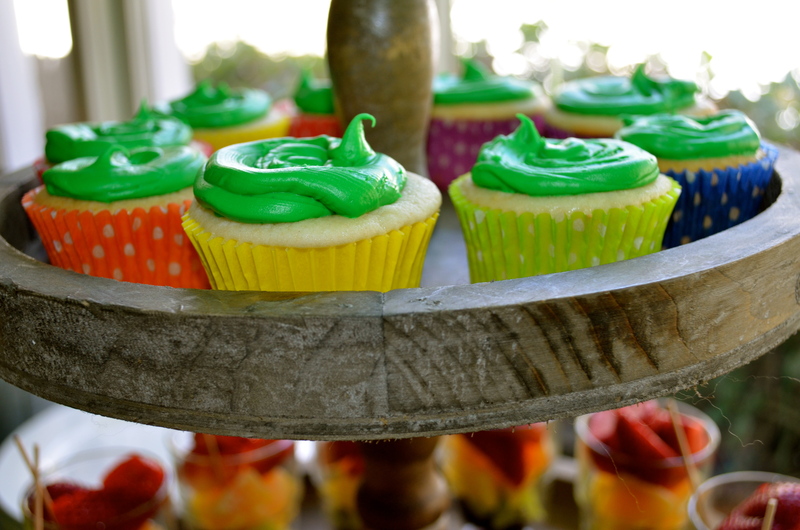 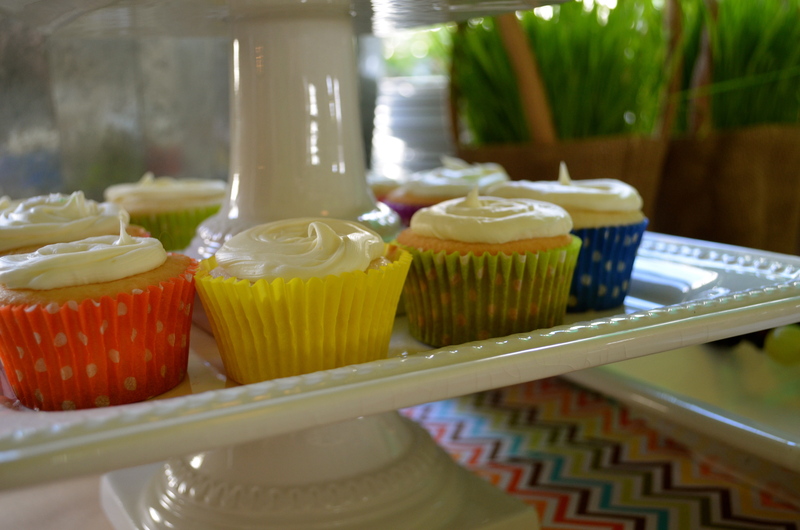 Rustic wood tiered stand held rainbow fruit cups, veggies, and cupcakes. 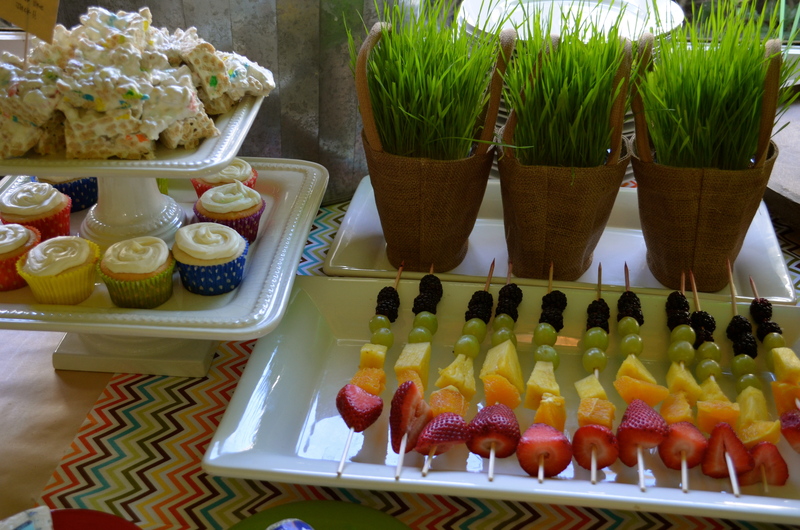 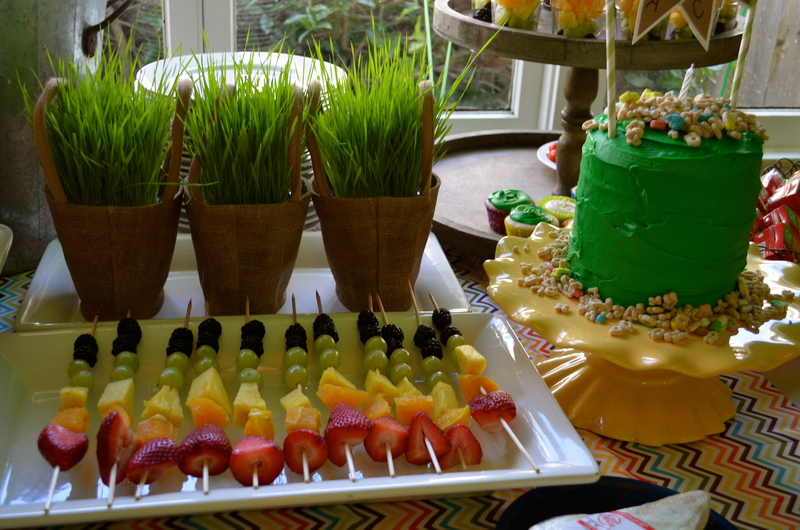 Burlap baskets filled with wheat grass brought a Spring touch to the table as a centerpiece. 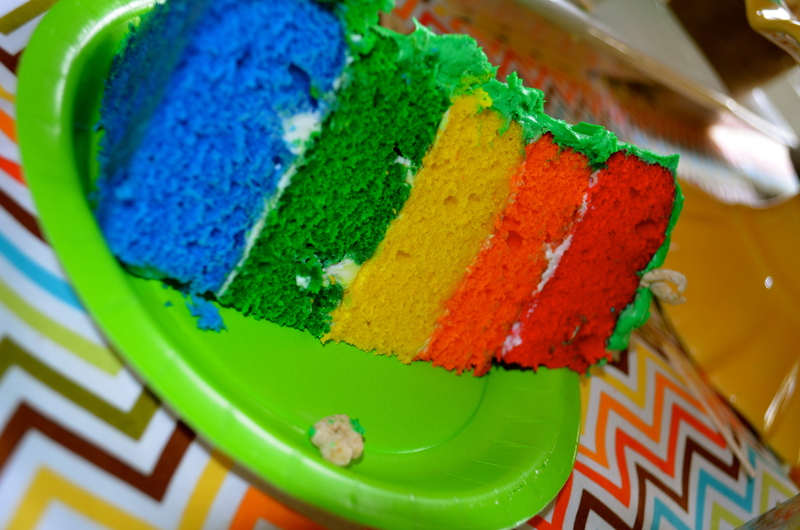 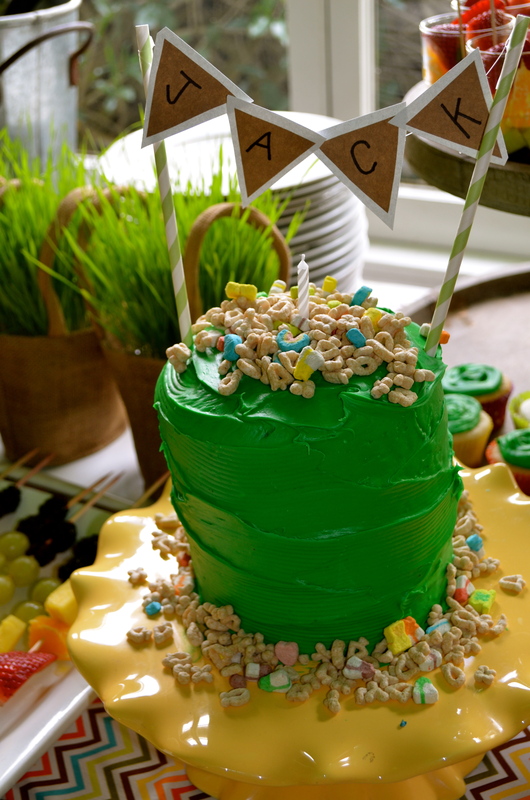 The star of the show was the Rainbow Cake, hidden during the party under the green frosting, only to be revealed during the first cut for the baby’s piece. 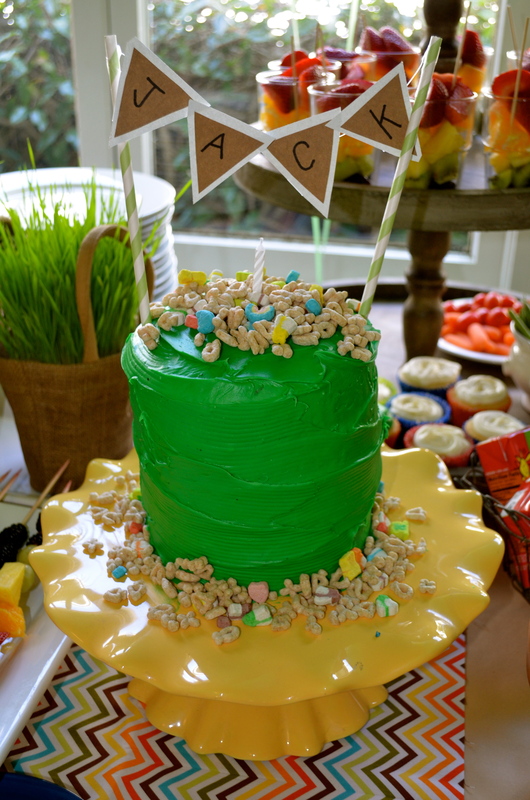 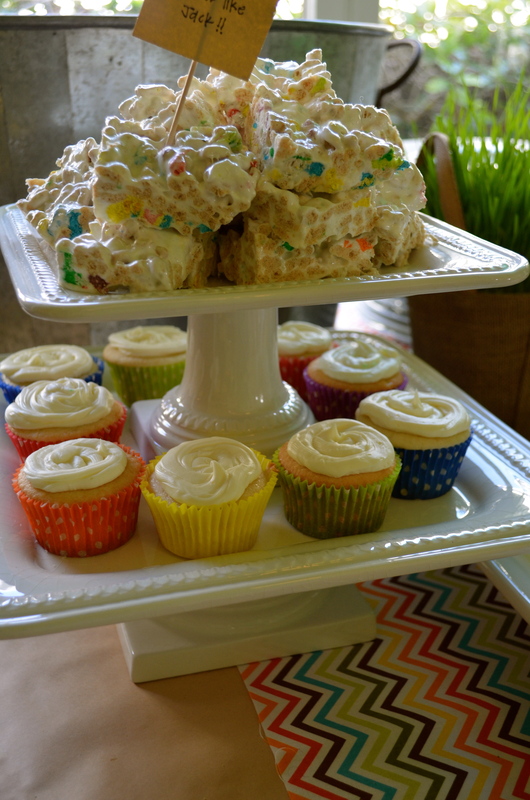 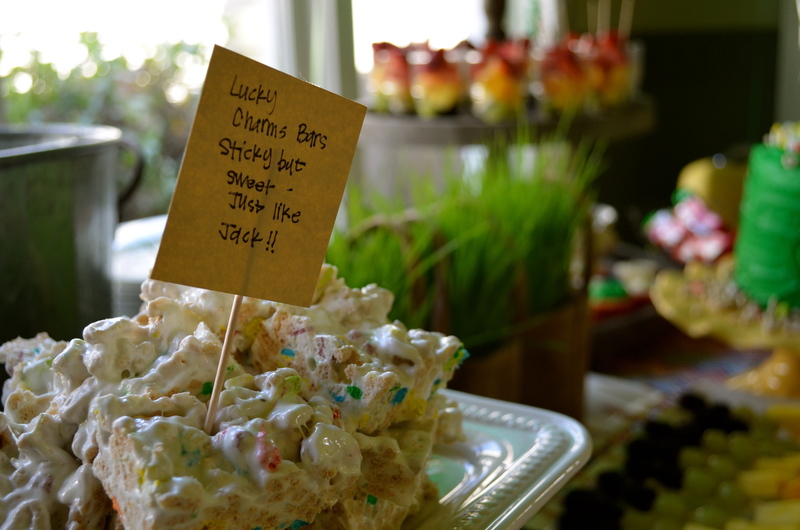 The cake was also dusted with the child’s cereal Lucky Charms to add a sweet, childish element to the St Patrick’s theme. 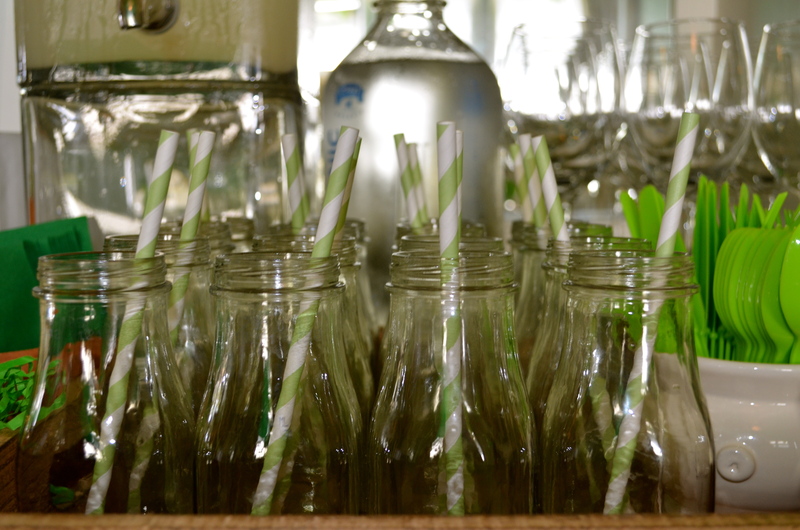 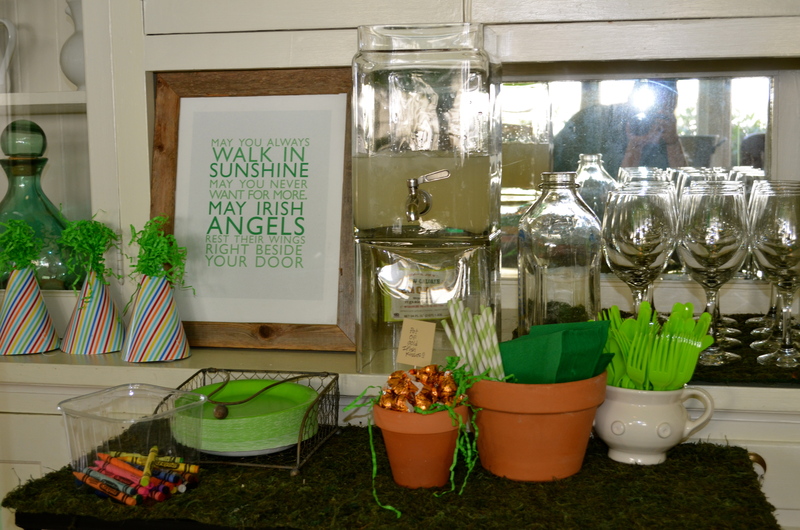 Drinks were lemonade served in recycled glass bottles with striped straws (found here), chilled water, Irish beers, wine, and apple juice boxes for the youngest guests. 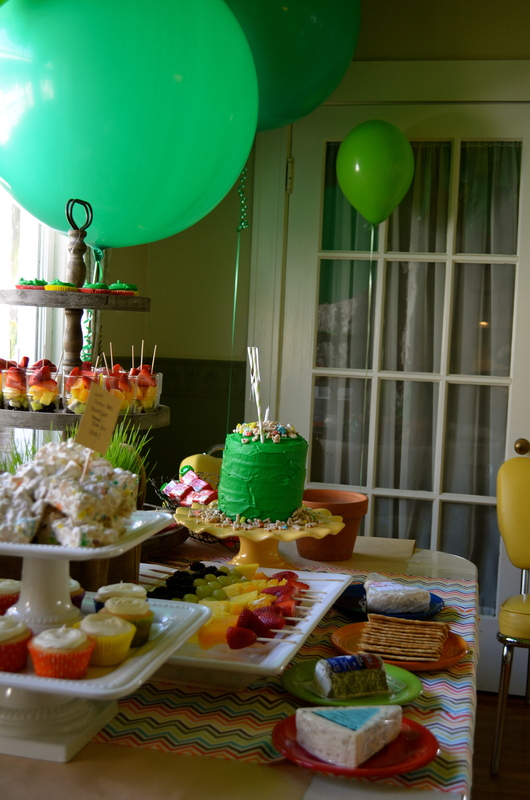 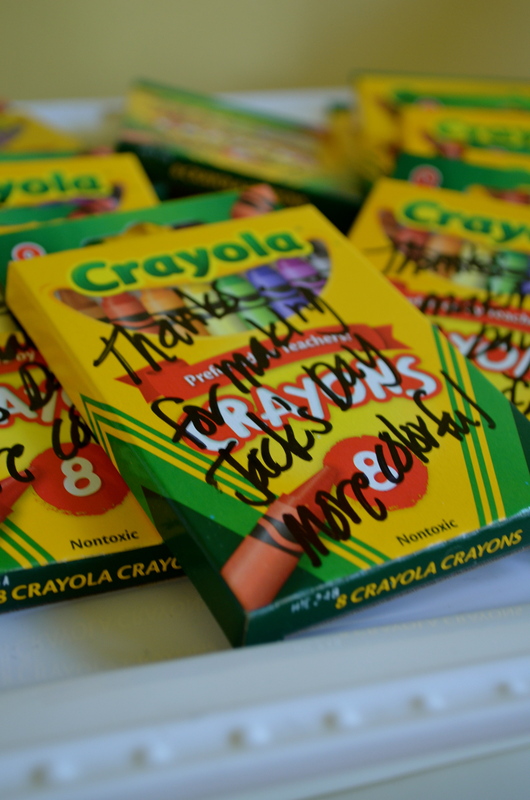 It was a bright, happy party celebrating one of the most precious birthdays, the First.